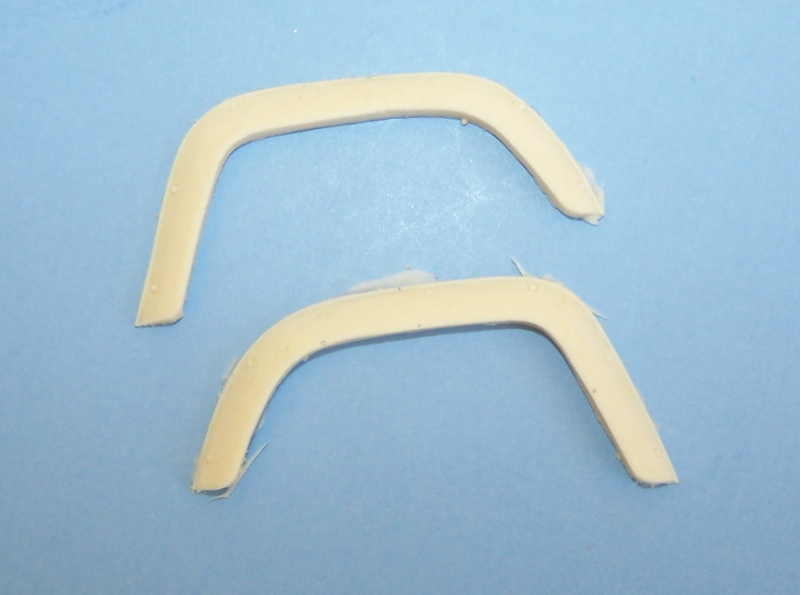 Set of 2 fender flares for 1/25th scale Mack Valueliner hood conversions. 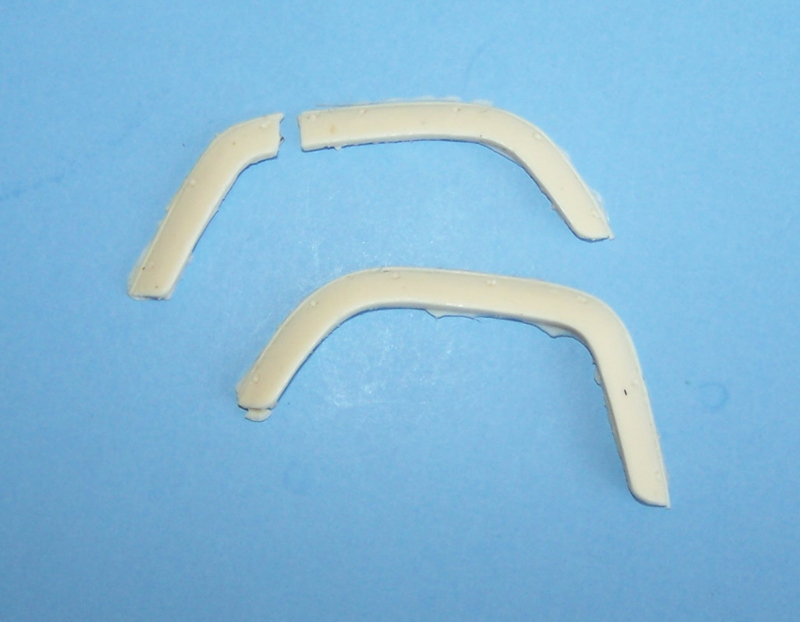 Set of 2 fender flares for AMT R model Mack kits and after market hoods, R-700 and RL-700. 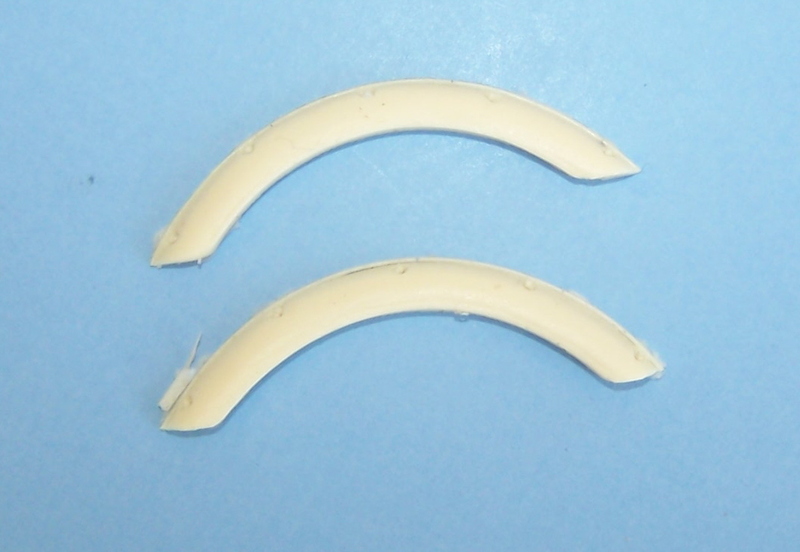 Set of 2 fender flares to fit 1/25th Kenworth T-600 and T-600A kits. 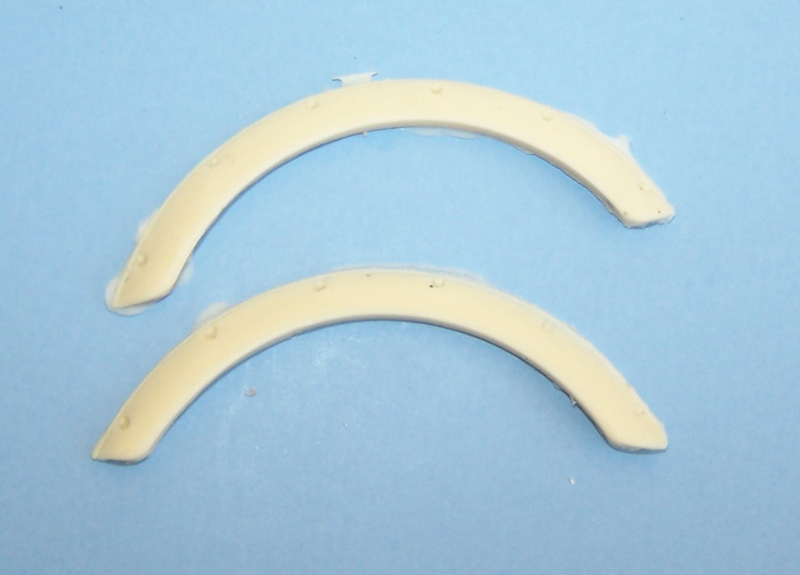 Set of 2 fender flares to fit 1/25th scale Kenworth W model hoods. 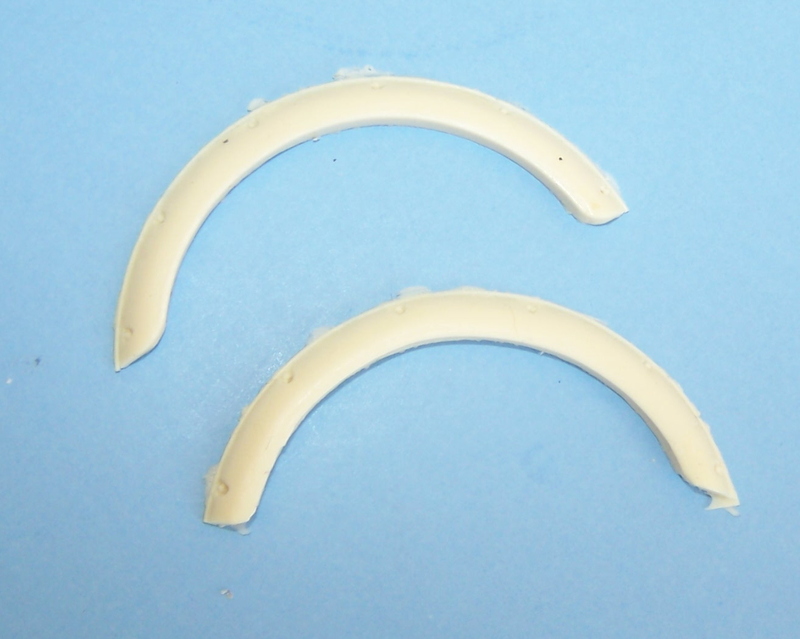 Set of 2 fender flares fits Italeri Western Star. 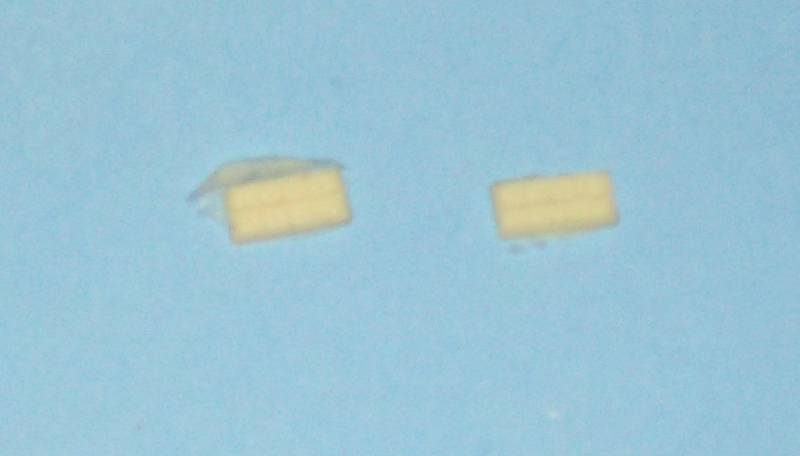 Will not fit constellation kits! See Auslowe F17. Includes 2 hood side name plates and 1 grill emblem. Includes Mack name plates for front and side of hood along with hood mascot and bull dog emblems for hood sides. Includes hood, grill, bumper and air cleaner. 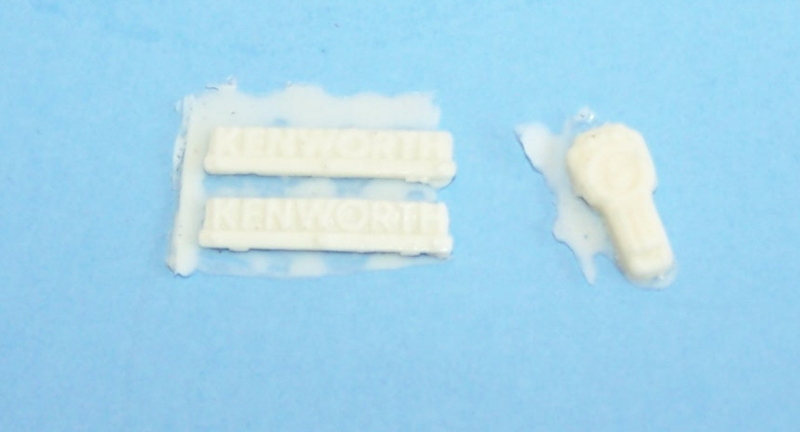 Use with any AMT Diamond Reo, Autocar or White kit. Front suspension will need to be replaced when using an Autocar donor kit. 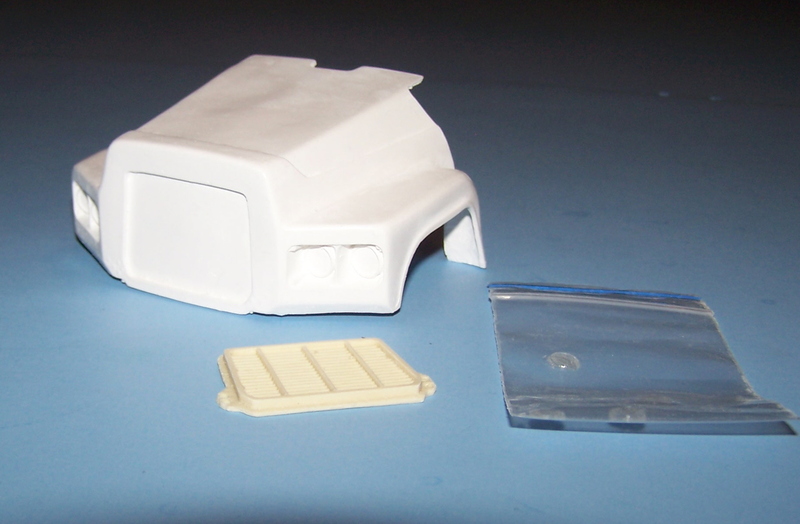 Resin and white metal hood conversion. 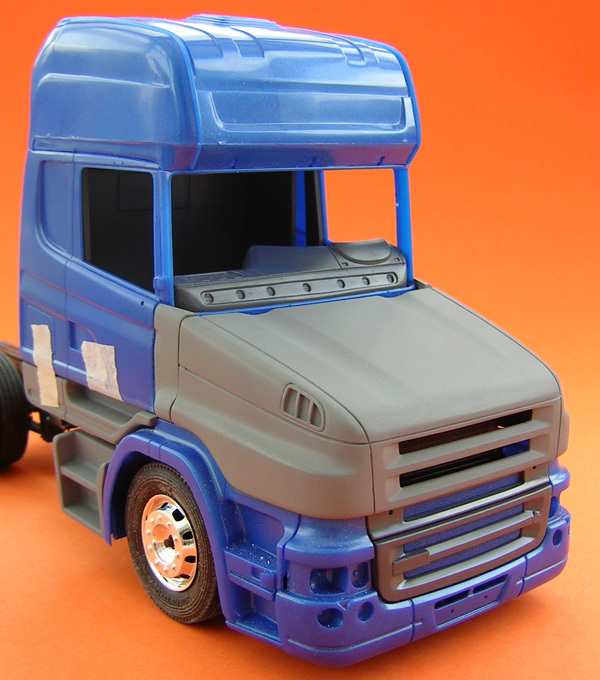 Hood conversion to turn an Italeri or Revell Scania R500 cab-over into a T series conventional. 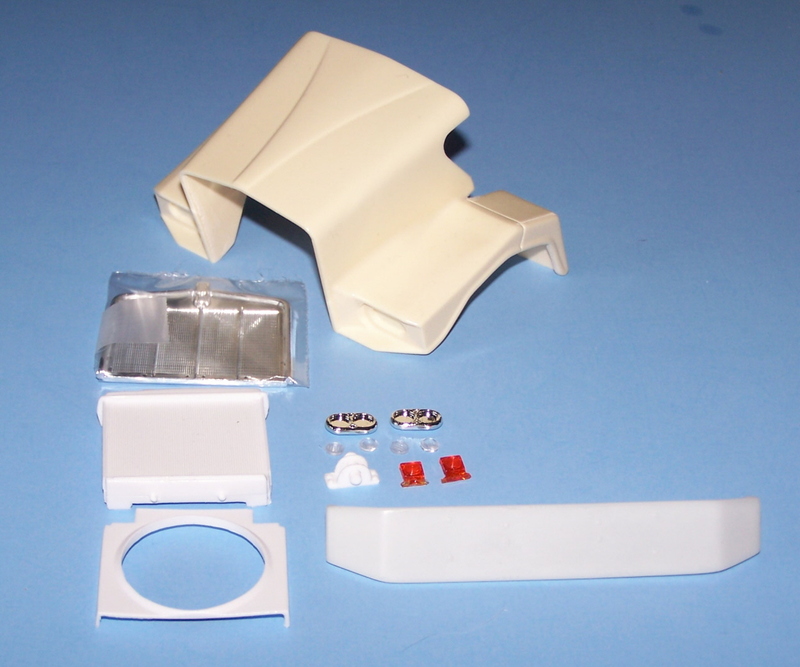 Includes 9 resin, 6 white metal parts and instruction sheet. Includes hood, grill and headlights. 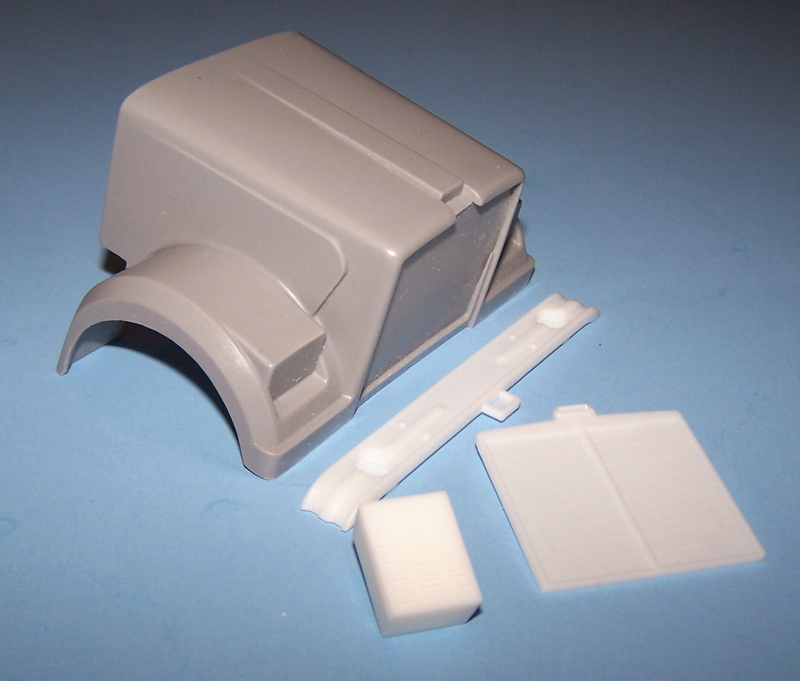 Use AMT Mack R Model as donor along with a Mack E-9 engine (RTE6 or E9). Set of 3 emblems, 2 hood and 1 grill. 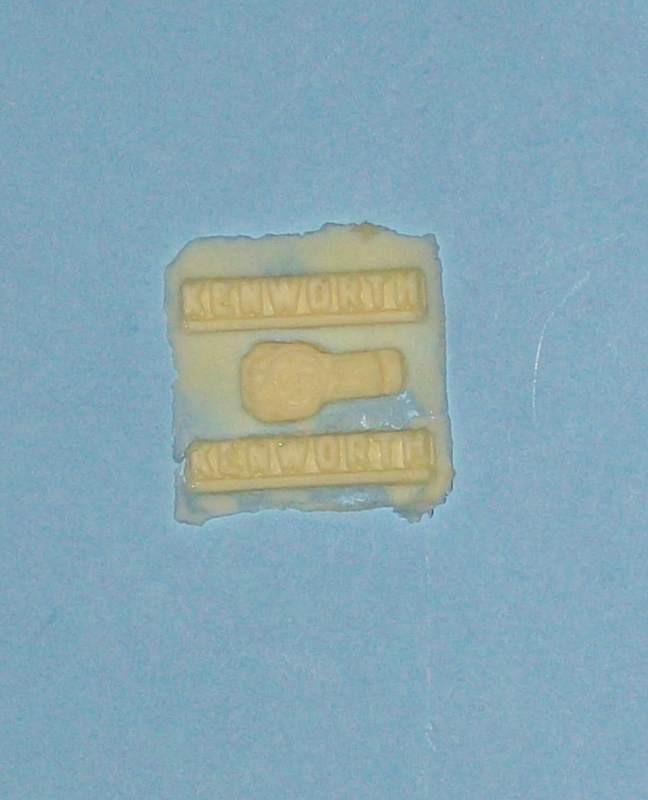 Set of 2 hood emblems for White Road Boss. 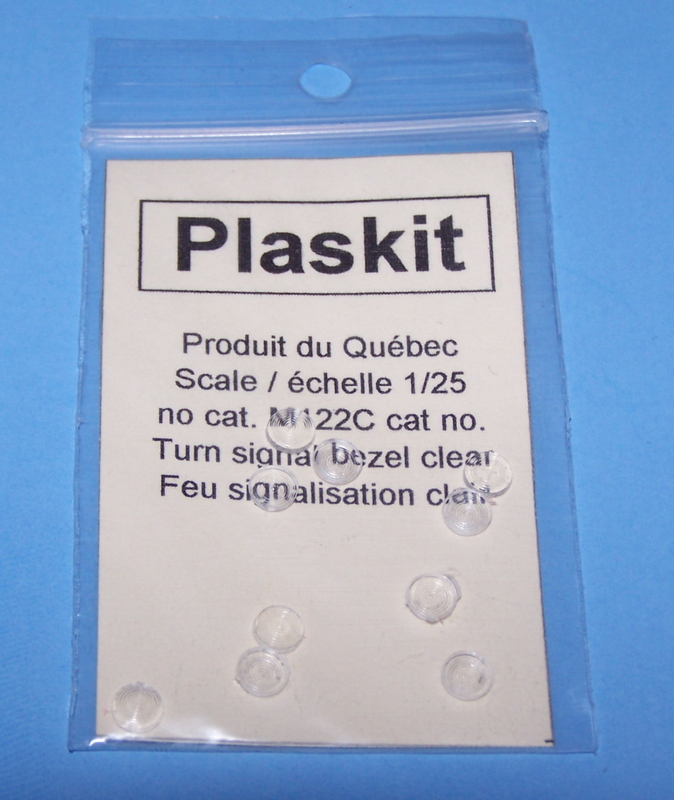 Set of 10 round clear lights, 5mm diameter. Can be tinted with Testors Model Master #2723 turn signal amber or #2724 stop light red. Includes hood, grill (NON CHROME), bumper, tow hook, lights, radiator and fan shroud. 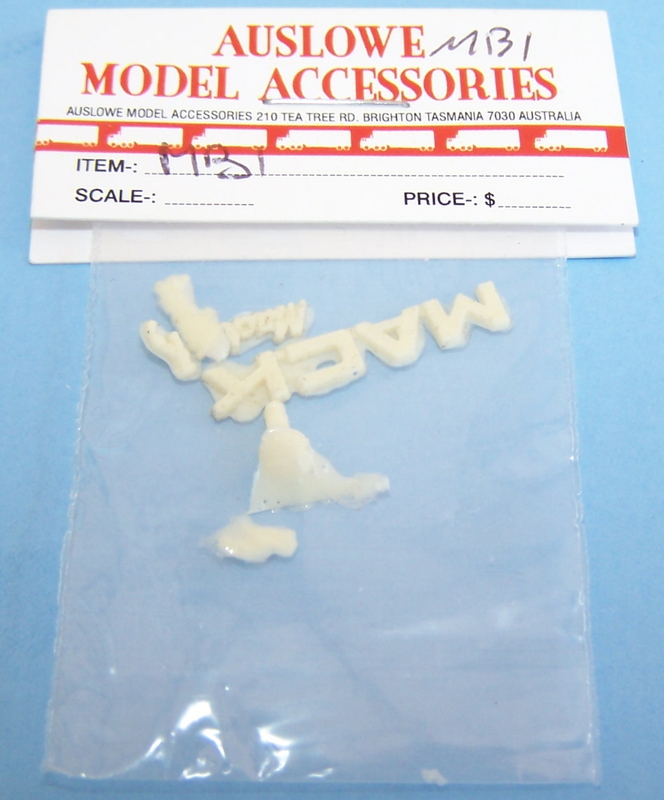 Use AMT/Ertl W925 or Revell W900/T900 for a donor. NOTE, GRILL IN NOT CHROMED!! 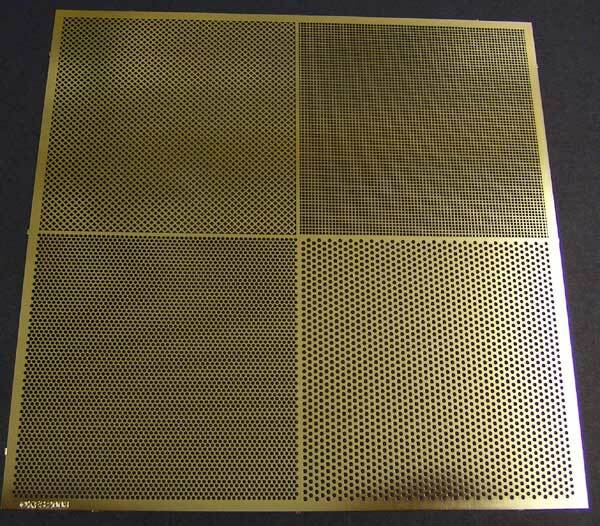 Sheet of (4) 1 5/8" X 1 5/8" chrome plated brass mesh panels, consisting of 1 large round holes, 1 small round holes, 1 square holes and 1 diamond holes.